I was reluctant at first, but figured it was time, considering my mug will be shown on TV at various points throughout the season. 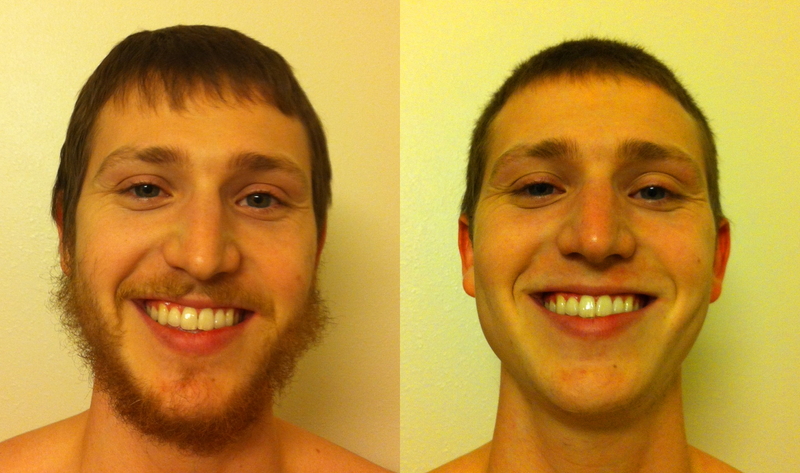 Coming into today I had shaved twice since the Brewers were eliminated from the playoffs. Once at the end of October, to partake in no-shave November, which morphed into no shave December as well. I shaved and cut my hair (which I do myself with a trimmers because I’m frugal) in early January before I met with the Brewers executives at Miller Park. That was on January 4th, so it’s been 3 whole months. If you can’t notice from the before and after, not much happens in 3 months of growth. I asked coworkers a few weeks ago how long they thought I had gone since last shaving, and they guessed a few weeks, HA!!! My girlfriend is quite pleased that I’ve finally gotten rid of it. I’ll admit it was getting pretty ridiculous. The picture of me in the top of the sidebar was taken in 2008, so this is a more accurate representation of what you can expect to see throughout the year. 43.5 hours until first pitch. Opening day is just 3 short days away, and I’m getting psyched up for another Opener. This will be my 4th opening day, but the first where I’ll actually have a seat. This is the view I’ll be enjoying this season. I had purchased a 20 game pack for the 2012 season, but the Brewers upgraded it to a full season plan. 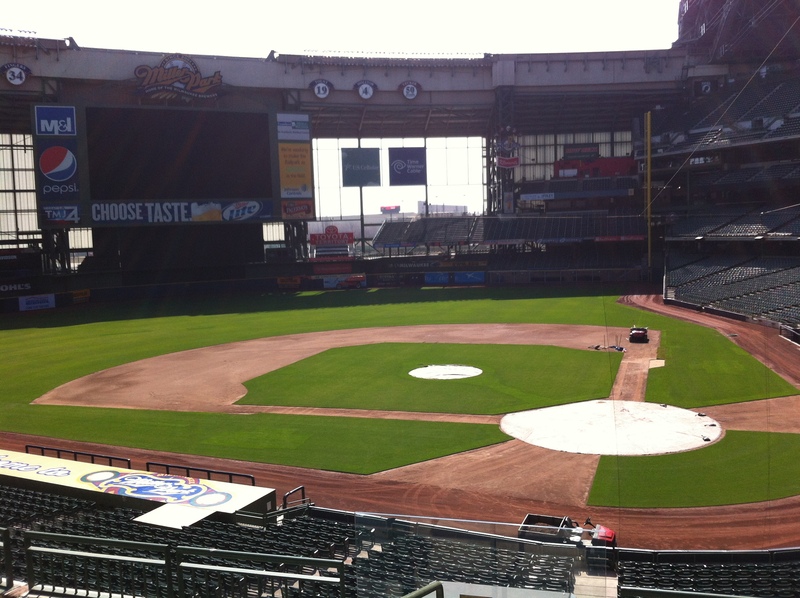 I’ll be at Miller Park at 4:45 Friday morning to do some interviews with local news stations. I’ve never been on camera before, so this should definitely be interesting. I will also be doing an interview on the field at Wrigley on Tuesday, April 10th, which will air during that nights game. It will be myself, Telly Hughes, and a Be The Match representative. I think Vegas has set the over/under at 14 hours of sleep for me over the next 3 nights? I’ll take the under. CAN’T WAIT!